The US Senate Intelligence Committee report, which detailed the findings of a five-year investigation into the agency’s interrogation practices, claimed that information that eventually led to the raid that killed bin Laden had either been obtained outside of CIA’s interrogation and detention program or prior to detainees being held by the agency. “Information in CIA records indicates Hassan Ghul was cooperative prior to being subjected to the CIA’s enhanced interrogation techniques. In an interview with the CIA Office of Inspector General, a CIA officer familiar with Ghul’s initial interrogations stated, ‘He sang like a tweetie bird. He opened up right away and was cooperative from the outset,’” the report said. 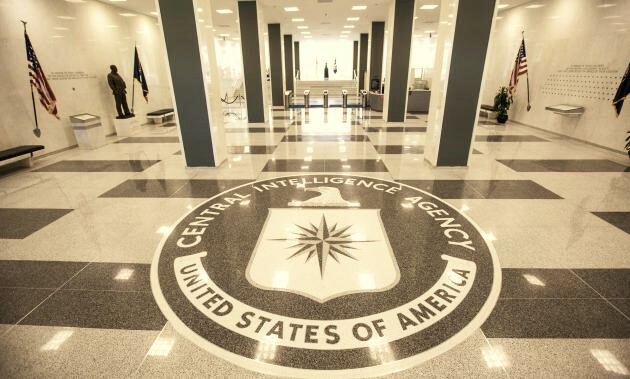 “Detainees provided fabricated information on critical intelligence issues, including the terrorist threats which the CIA identified as its highest priorities,” the report alleged. As an example, the report gave the name of Ammar al-Baluchi, who, the CIA said, in a statement released in response to the report, was the first detainee to reveal that al-Kuwaiti was bin Laden’s courier. The Senate committee investigation found that under “enhanced interrogation,” al-Baluchi had provided inaccurate information about al-Kuwaiti and bin Laden’s whereabouts. The Senate report also pointed out that the CIA was already collecting information about al-Kuwaiti since 2002, “prior to any reporting on Abu Ahmad al-Kuwaiti from CIA detainees.” This finding directly contradicted the CIA’s claims over the effectiveness of its interrogation techniques, according to the report. The report also contained references to internal communications within the CIA showing that many within the agency had questioned the authenticity of the information extracted from the detainees. “Detainees provide few actionable leads, and we have to consider the possibility that they are creating fictitious characters to distract us or to absolve themselves of direct knowledge about Bin Laden,” CIA officials said in a document dated Sept.1, 2005, cited in the report. The Central Intelligence Agency misled journalists from top U.S. news organizations such as the New York Times, NBC News and the author of the book “The CIA at War” to convince the public its brutal interrogation tactics were working, according to a Senate investigation released Tuesday. The agency picked journalists and authors to work with and selectively provided information attributed to anonymous sources described as “top American intelligence officials” and “senior U.S. intelligence analysts” to sell the CIA’s story — namely, that the interrogations were yielding valuable information and to take credit for arrests made by the FBI. The descriptions of interactions between CIA personnel and journalists provide a window into how reports about classified activities are sourced, often sanctioned by government officials at the highest level, who are then allowed to hide behind vague attributions. The CIA also did not investigate illegal leaks of classified information but was actively disseminating the same information to convey its message that the interrogations were working and that the agency deserved more credit for the arrests. we either got out and sell, or we get hammered, which has implications beyond media. congress reads it, cuts our authorities, messes up our budget. we need to make sure the impression of what we do is positive … we must be more aggressive out there. we either put out our story or we get eaten. there is no middle ground. CIA attorneys warned officials that the agency should not allow any of the information be attributed to the agency but rather to an “official knowledgeable” about the program. “Both the Kessler book and the Jehl article included inaccurate claims about the effectiveness of CIA interrogations, much of it consistent with the inaccurate information being provided by the CIA to policymakers at the time,” the report said. Reached by International Business Times, both Kessler and Jehl said they were never contacted by the Senate Committee to get their side of the story. Kessler said the information he got from the CIA was corroborated by sources at the FBI. Moreover, he said, former CIA director Leon Panetta, an Obama administration appointee, argued that “enhanced interrogation” did provide information that helped lead to Osama bin Laden. As a national security reporter for the Times in 2005, I worked aggressively to pursue and publish stories about the CIA’s harsh interrogation of terrorist suspects, at a time when those details remained highly classified. I am proud of the work that my Times colleagues and I did in bringing these CIA practices to light. The report cites “erroneous” reporting by NBC’s “Dateline” that cited senior U.S. officials saying that al Qaeda leaders “bundled off” to secret interrogation centers became founts of actionable information and were key to the captures of Khalid Sheikh Mohammed and Khallad bin Attash. “These information is inaccurate,” the report said.